Whatever your needs in the paralegal field, now there is one place to get help! ParalegalTemps: Experienced legal assistants when you need them. AttorneyTemps: JD's on special assignments. As paralegal specialists, we have a thorough understanding of what paralegals and attorneys do and where the best career opportunities are located. Contact us if you are seriously considering relocating to the Greater Boston area. 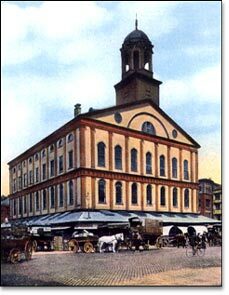 If you are already here, please visit our Faneuil Hall office. We prescreen all candidates and paralegal/attorney teams for your special projects far better than conventional placement firms do. We have an expert staff of paralegals in Boston, who stand ready to research, retrieve or file your documents at the Department of Corporations, at the State House, the Courthouses and Registries.